For the past three years, Tejinder Pal Singh has dedicated the last Sunday of the month to feeding the poor and needy locals of northern Darwin, using what little money he can save. Following a grueling twelve hour night shift, he slaves away in his kitchen for five hours to prepare a veritable feast of chickpeas, rice and vegetarian curry – which he then packs into huge containers and serves as a free lunch. “I do something for homeless people, so they get more energy and they’re happy. My religion says 10% of our income should go to the needy – no matter (whether) they belong to your religion or any other religion,” Tejinder Pal Singh was quoted as saying by the local media. 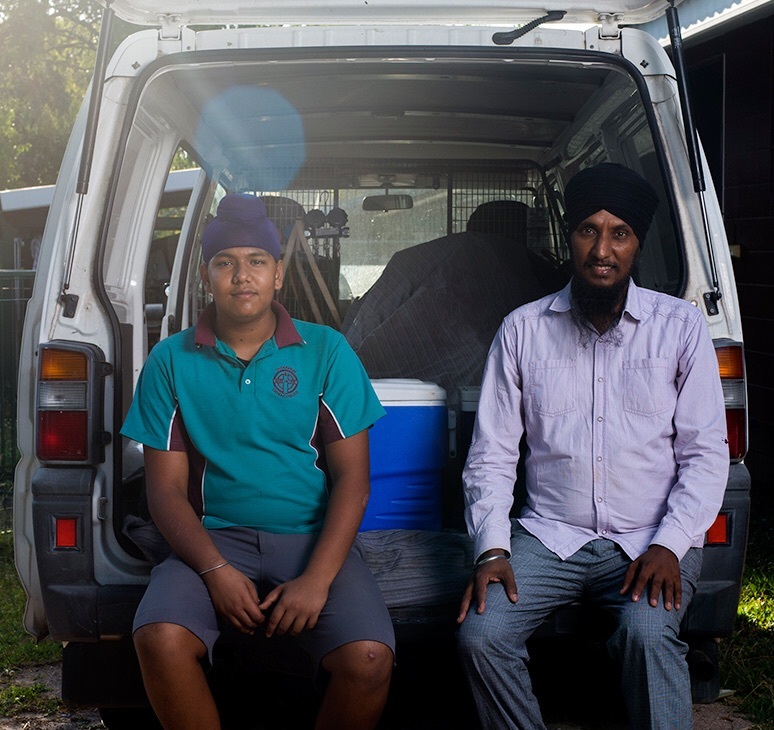 His van carries a signature written as ‘Free Indian food for hungry and needy people, Provider Sikh family.’ Commonwealth Bank has sponsored the Australian of the Year Awards for over 35 years, recognising extraordinary Australians who have made a big difference to the country. The sacrificial nature has flowed through to his son, Navdeep, who described his father as a kind-hearted, helpful person, reported the ABC. ‘I help my dad pour cordial for people who are thirsty, they deserve a cold drink … it’s a really hot day’, Navdeep says, following his fathers footsteps. ‘He love people, he loves Aboriginal people. He give them feed and love, like God,’ he continued, thankful for the plate of food with no questions asked. But Mr Singh has no interest in prying in the lives of those he serves. ‘I don’t ask any story, you know, I don’t want to interfere any life – my duty (is) only (to) give food to hungry people’, he says. Realy feel proud looking these people.All of us should also do something like this for our self satisfaction,not for show off.